I guess you all know by now that I'm addicted to Charm makeup brushes. I can still remember that one Sunday afternoon at La Vista Bazaar where I got my very first Charm brush. It's the flat top brush made out of goat hair. Sophie, back then, was already making quite a name for herself in the Philippine mineral makeup community. She introduced blending brushes when we didn't even know that it's going to be the most important brush in our lives. Now, Charm has grown into a brand that every beauty maven knows and loves! There is clearly no stopping the brain of Sophie from working. Just now, right before the Holidays, she launched two new retractable brushes! OMG! And I thought I was set for life with the Retractable Flat Kabuki Brush and Retractable Kabuki Brush, here she is giving us more! 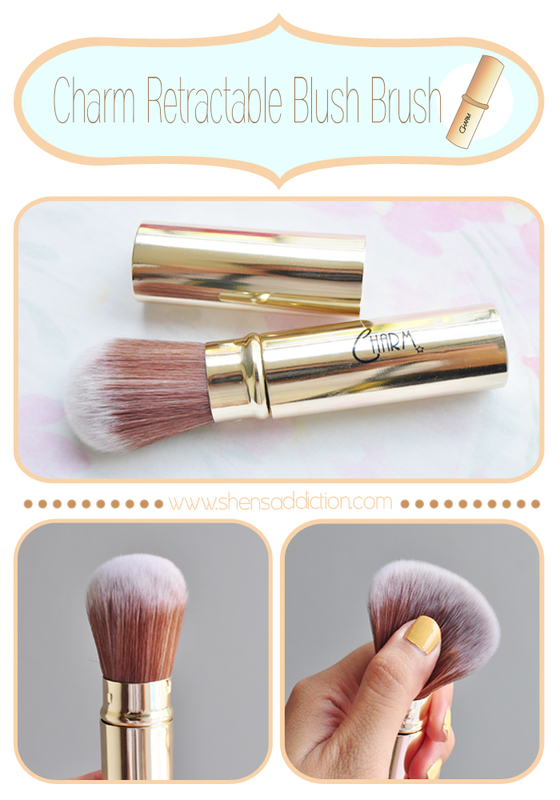 Now my favorite Retractable Gold Kabuki brush has a dependable BFF! I showed you that trick before on how to maximize a kabuki brush and make use of it as contour and blush brush. But for those who can't get the hang of it, grab this. And not to sound hard sell, it's really amazing brush that is again has a lot of uses aside from being a blush brush (cheaper, too, compared to other synthetic brushes out there). 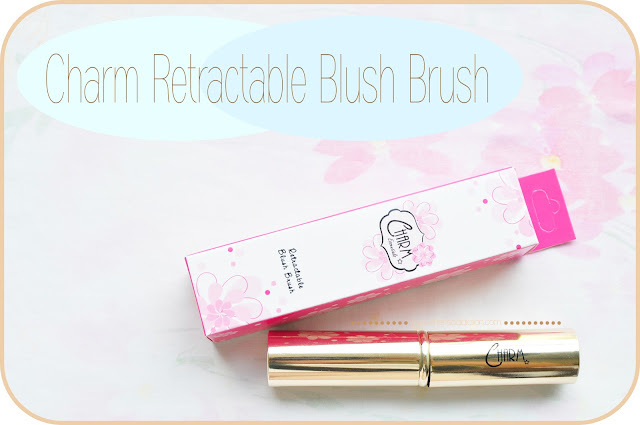 This new Retractable Blush Brush is ideal for everyday use. It's hygienic, soft as baby's skin and easy to maintain. Synthetic brushes are great choice for those who have extremely sensitive skin and those who are allergic to animal fibers and hairs. The shape of the brush doesn't deform even after years of use (basing on my former Charm retractable brushes). 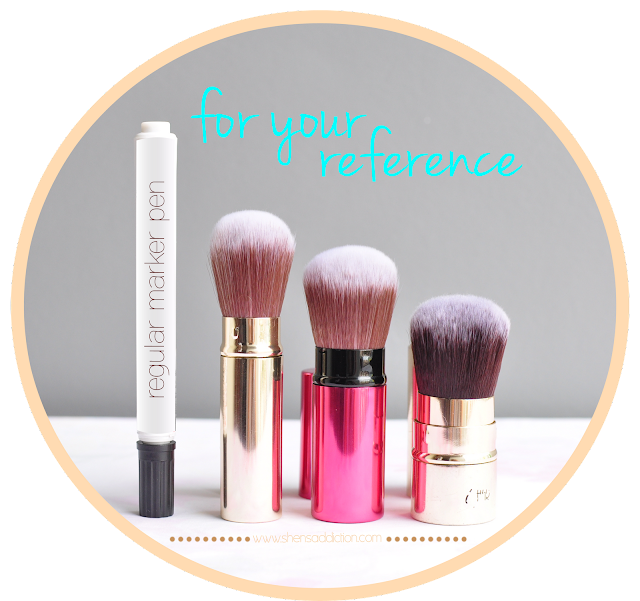 If you're retouch only consist of an oil-control powder and wants that natural effect, then choose this brush instead. The density of this brush offers a more natural light coverage compared to it's kabuki counterpart. You gals are so lucky! Back when I was starting with makeup, good brushes weren't available and some of them that are are so expensive!